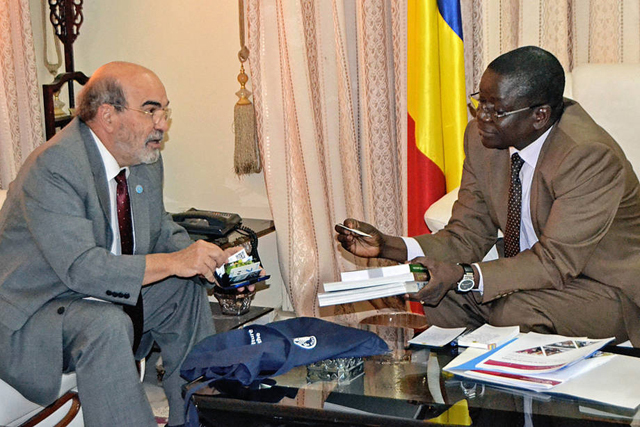 ROME, Apr 11 2017 (IPS) - Food assistance is a priority and the only way to prevent the crisis from worsening in the Lake Chad Basin, is to support food production according to José Graziano da Silva, Director-General of the Food and Agriculture Organization of the United Nations. 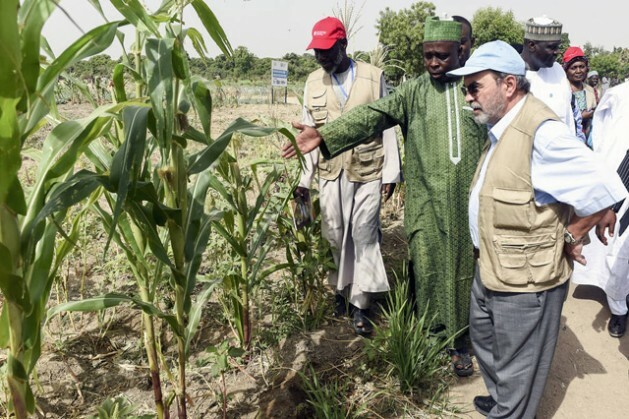 “We need to take action now and there is no doubt that hungry people need food, but an emergency approach doesn’t tackle the roots”, he said in a press conference following his three day visit to some of the affected areas in northeastern Nigeria, where conflict has forced an estimated 2.5 million people to leave their homes and livelihoods. Lake Chad, which is the main source of water in the region, between 1963 and 2013 lost 90 percent of its water mass, with massive impact on the population. “There are fifty thousand people on the brink of famine in the region, on a scale from 1 to 5, where 5 is famine, they are already at level 4”, Graziano da Silva warned. The FAO chiefexplained that this conflict cannot be solved only with arms. This is a war against hunger and poverty and rural development must be promoted and resilience built. A combination of food assistance and food production support is the only way to avoid further escalation of the serious humanitarian crisis. Following three years of drought, agriculture including livestock and fisheries can no longer be left unattended. Agriculture produces food and sustains 90 percent of the local population. Many of the people in the area have already sold their possessions including seeds and tools and their animals have been killed by the armed groups. “Pastoralists and fishers need to be supported as well for animal restocking. Otherwise if internally displaced persons don’t have their animals and their jobs back, they will remain in the refugee camps, “ the FAO DG emphasized. “The region is approaching a critical time in the agricultural calendar, with the main planting season beginning in May/June 2017 and we need the money now to plant”, he stressed. There is a huge shortfall in international assistance to meet the emergency needs. Of the USD 62 million requested under the 2017 Humanitarian Response Plan for Nigeria, FAO has so far received only about USD 10 million. FAO has developed a Lake Chad Basin Response Strategy (2017-2019) to improve food security and nutrition and strengthen the resilience of vulnerable communities in the affected areas and more than 1.16 million people will receive assistance in the coming months across the region. Key activities will include the distribution of cereal seeds, animal feed and the provision of cash transfers and veterinary care. In response to a question by IPS, Graziano Da Silva said he will soon be discussing with David Beasley, Executive Director of the World Food Programme about the crisis and work together with other organizations such as UNHCR, UNICEF and UNDP “to integrate their different mandates to tackle the crisis. In fact, Graziano da Silva concluded, “we are monitoring the crisis and we have a lot of detailed data; what we need is to raise awareness and inform donors on the dimension of the crisis”.